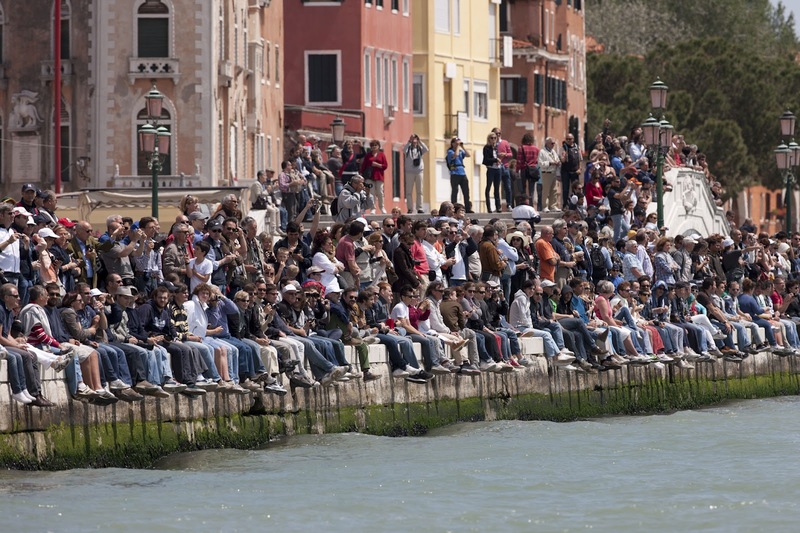 The America’s Cup World Series fleet raced on the Grand Canal of Venice on Friday, the historic waters becoming a proving ground for some of the best sailors in the world. Each of the two Luna Rossa crews rose to the occasion, recording a race win, pleasing the local spectators who were out in force both on shore and on the water. 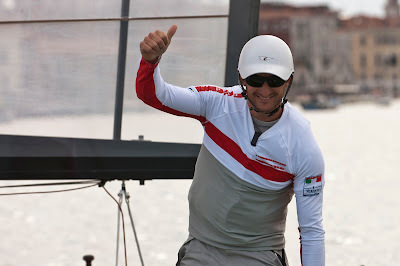 While conditions were perfect for racing, with moderate 8-10 knot sea breezes, the challenge came from the narrow, restricted race course, which was shoe-horned into the canal. This forced the boats close together and the crews were obliged to execute an unprecedented number of tacks and gybes as they zigzagged up and down the track. 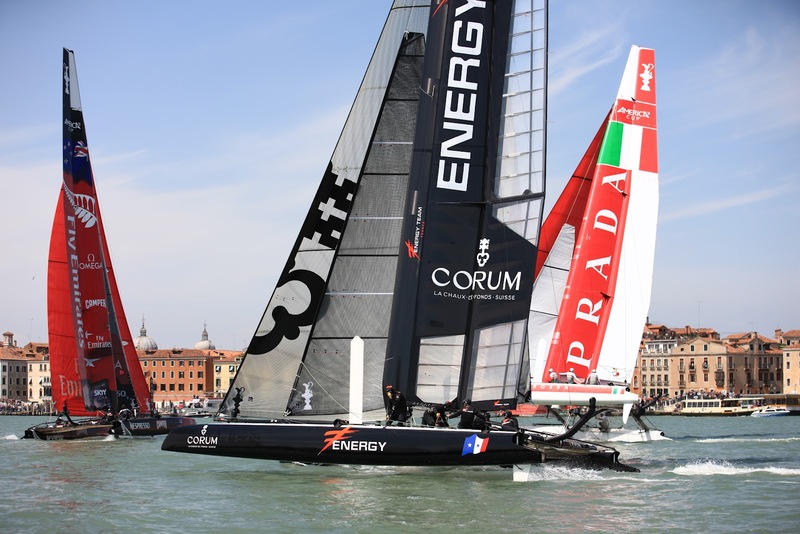 Loick Peyron’s Energy Team retained their position at the top of the Fleet Racing leaderboard, but not without some nervous moments. 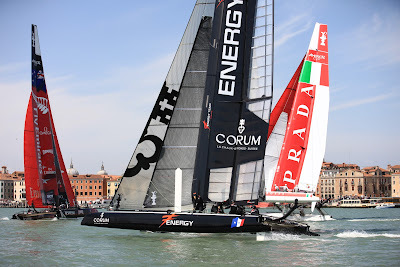 The team was in last place at the first two marks of the second race, before making a spectacular comeback on the next leg of the course to round in second place, a position they protected all the way to the finish, maintaining their consistent finishes to date. The race course, at its narrowest, was only 140 meters, meaning at times crews would barely have trimmed on a sail before they had to make another manoeuver. 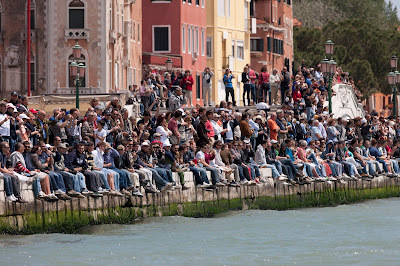 But the smaller field of play made for incredible spectator opportunities, with hundreds of boats lining the course, and thousands more taking in the action from the shore. 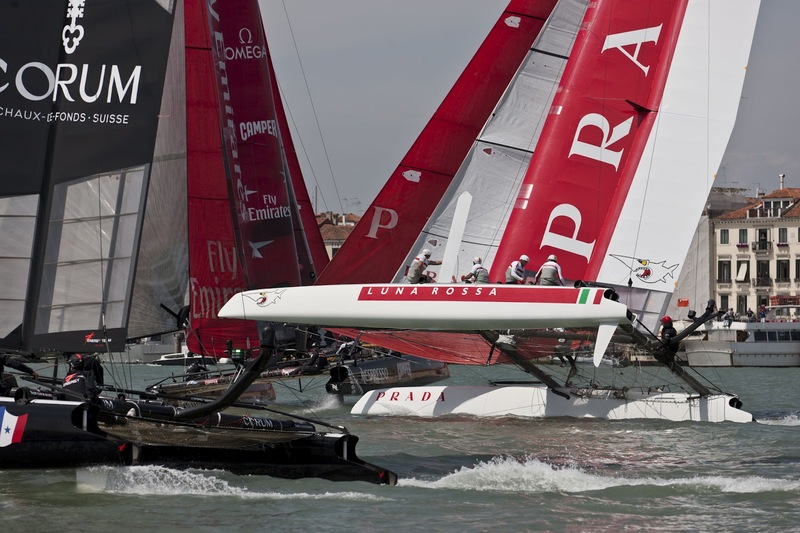 Today’s Match Racing did not take place as scheduled. 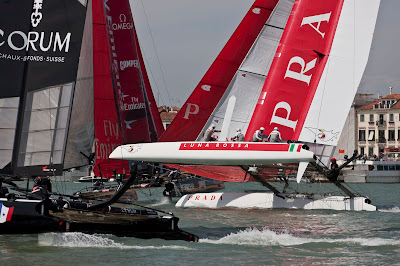 The Semi Finals are rescheduled to Saturday, and will take place following the Fleet Races 5 and 6. The winners of the Quarter Finals advanced to the ‘best of three’ Semi Finals. No match races were sailed on Friday. The losers of the Quarter Final have been assigned final finishing positions (5th to 9th) in the Match Racing Championship as per the Sailing Instructions.